Rex ''Rex-cellent'' T-Shirt for Men – Toy Story was released today, April 15, 2019, on Shop Disney. This costs $24.95. 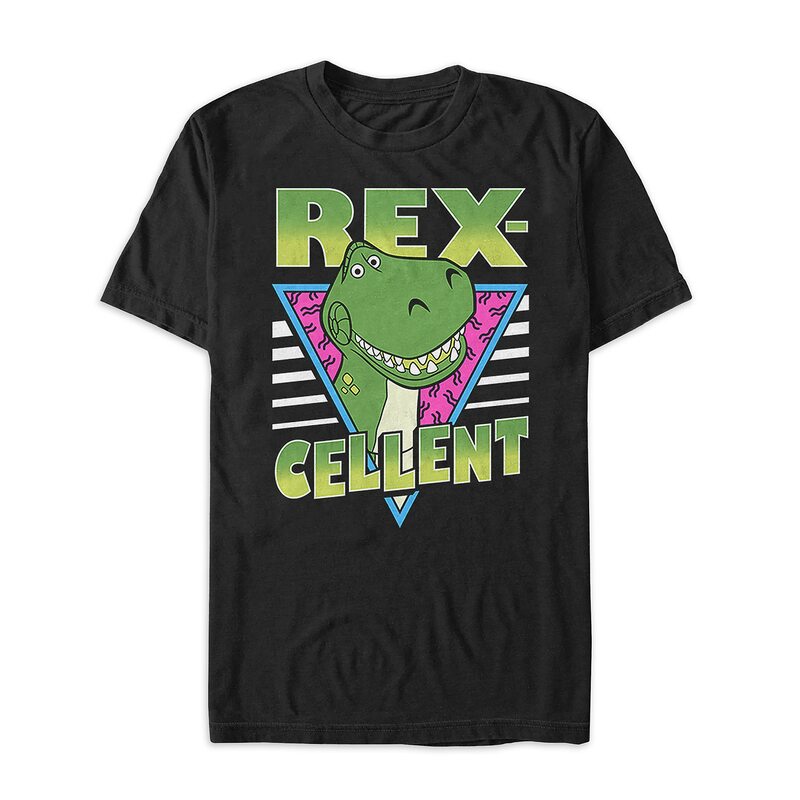 Show off your totally ”Rex-cellent” style with this throwback-inspired t-shirt. Featuring screen art of the lovably apprehensive dinosaur from Toy Story paired with punny messaging, this tee is something to roar about! If you want to order ‘Rex ''Rex-cellent'' T-Shirt for Men – Toy Story’, you can do so by clicking this link which will take you right to the product.